3 bdr, 2bath plus loft with partial mountain view and so many updates! Cozy clean and convenient best describes this 3bdr 2bath plus furnished loft townhome in beautiful Winhall acres community. Less than a mile from the Stratton Mountain access Rd. Easy access to the town of Manchester with world class shopping and dining. Grocery shopping conveinence store and pizzeria less that a mile away and walking distance in the summer. This is a newly purchased home and many updates have been completed. There is new wall to wall carpet throughout. The kitchen and bedrooms have new furniture and appliances plus granite countertops and new flooring. The living room has been completely redone with all new furniture. The freshly painted bedrooms are located on the first floor and boast brand new furniture, bedding , mattresses, linens/comforters.. Bedroom one has a queen bed, dresser wall mounted tv .l. Bedroom 2 is a twin over full bunk bed with dresser. Bedroom 3 has two twin beds and a dresser with wall mounted TV.. All bedrooms have plenty of drawer and closet space as well as individual heat control. The two baths are equipped with a shower in one and a full bath in another and all furnishings are new. The main level is a spacious open concept living room/dining room/kitchen. The well equipped kitchen/dining area has a new large wood table and six chairs, granite countertops and four new swivel barstools at the island. New stove, fridge, and dishwasher. The living room is a beautiful space with plenty of comfortable seating and a 50 inch new flat screen tv over a woodburning stove/fireplace. High speed wireless internet and Apple Tv (Netflix and Hulu plus programmed) included. Great room to relax in after a day on the mountain. The open concept truly makes for a wonderful and warm gathering area. The balcony off the dining room offers a partial view of Stratton mountain and is equipped with a grill. The fully furnished carpeted loft which overlooks the living room is a kids/teens dream area. . Wall mounted tv with Xbox 360 and games. Plenty of oversized, fun seating which converts to beds (Includes a Queen foldout bed Plenty of storage area in loft. 15 minutes to Bromley and Magic Mountain, 25 minutes to Mount Snow, Okemo and 45 minutes to Killington. Mud room on ground level for ski storage. Fully plowed for a carefree vacation experience. Please be aware this is the ONLY site this property is listed on. Tim and Rose wish to welcome you to our lovely Vermont ski cottage. We are here to answer any questions you may have. We know you will enjoy everything this special property has to offer. We love Vermont and the Stratton area in particular. This well-equipped , cozy house will provide you and your family and friends the idyllic getaway weekend. New Furniture throughout, work desk (If needed), reading area, Large flat screen TV. Apple TV adapter for Netflicks, etc. Dining Table has two leafs and can seat 8 plus the breakfast bar area will seat another 4. The beds and couches were comfortable. The bedding and towels were new and comfortable. I recommend this property. Great location about 10 min to Stratton. Look forward to returning next year. 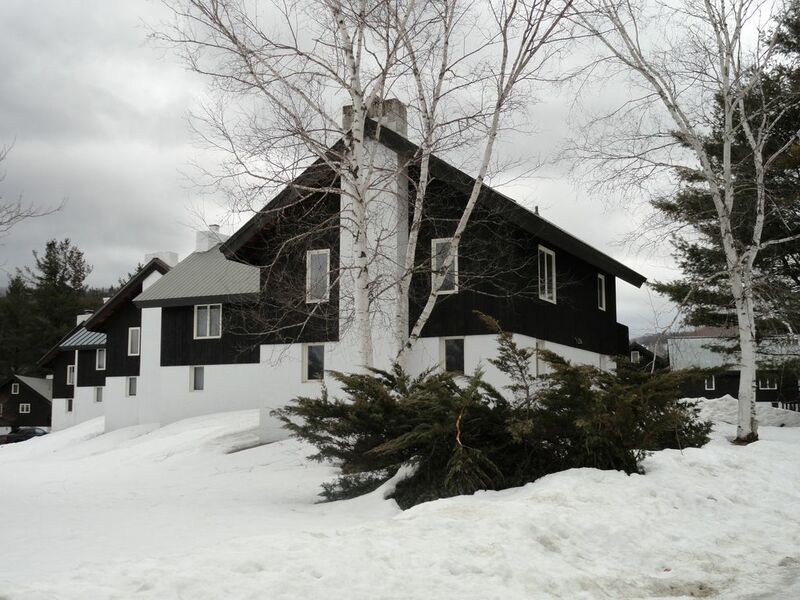 The location of this chalet is great for a weekend getaway! We had tons of extra sheets, towels, kitchen ware, etc. and rooms were cozy but had ample space for all our gear. The heating was a little finicky at times, but that was minor. I would definitely recommend! I love the place from the moment I walked in. It was very clean and it was equipped with everything we need for the week to have a great time. Mary was available when we had a question about how to connect to the Internet. Looking forward to my next stay! A lovely chalet style home located at the bottom of the Stratton access road. The house was well-equipped with a large but very cozy living room. The loft was a big hit with the kids as well! A suggestion for improvement is to have each renter empty the refrigerator upon checkout. Thank you for sharing your home with us! Property was just as pictured, great location, convenient to food, wine, skiing and gas! We all enjoyed the comfortable layout, all the things you expect to have at home and open roomy layout. It was particularly convenient for everything you want to do from skiing to enjoying Stratton Village in the evening, and picking up groceries and wine just around the corner... literally! Plenty of wood to enjoy fires in the evening and maintenance did a great job keeping the driveway clear. Thanks Tom we enjoyed having your family at our home. We also love the absolute convenience our chalet offers as well as the great maintenance that our caretakers continually do to make it a carefree experience. Come see us again . Standard rental agreement to be emailed to prospective tenant.